I was in third grade when I got my first pair of glasses. Years went by and my eyes just progressively got worse and worse. Always felt like everything was distorted. My boyfriend and I have been doing some traveling out in North Carolina. I had the navigation and my boyfriend would laugh at me because I've read my telephone right here and he looks over and he was like "I really think it's time." It was literally effecting the quality of my life and there is no reason you should go through life without being able to see. When we got home, we did a lot of research. We chose Dr. Vold because he was at the top of his game. I was scared and I was nervous, but I would do it all over again. They did an amazing job taking care of me, they were there for me, they understood all of my needs, my concerns and put me at ease every step of the way. I would like to thank Dr. Vold and his staff for changing my life. It has been the best thing I ever done for myself. Every day I see something new in a crazy, crazy new way. I have a whole new set of eyes. If somebody asks me if I would recommend LASIK Surgery, I would absolutely 100% say, "Yes." It's a new day and it's a beautiful world. 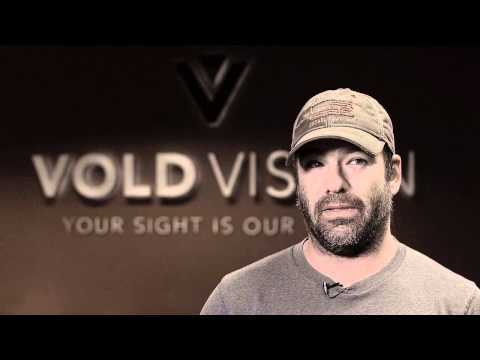 My name is Jimelle Dismang and I had my LASIK done at Vold Vision.